North Korea has launched a new Internet portal that provides a quick link to all of the country’s official web sites available on the Internet. 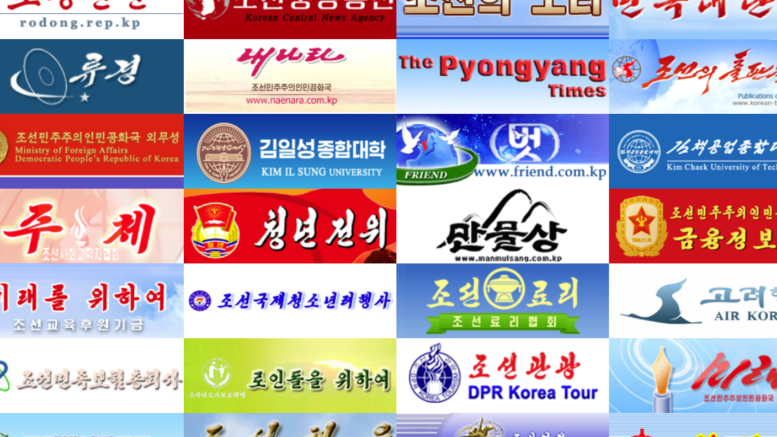 The site, appropriately called DPRK Portal, links to 34 web sites although a handful are actually sections of the Naenara web site so the total number of sites with unique domain names is 29 sites. They include three that I didn’t previously know about: the Financial Intelligence Agency, Mirae science site and the Samhung Intellectual Assets Center of the Education Ministry. The page includes a search engine, although it appears restricted to the index of sites and not their content. When I searched for “로동신문” (Rodong Sinmun) it presented a link to the Rodong newspaper site but a search for “조선인민군” (Korean People’s Army) brought no results, despite being mentioned on many pages. Doug Madory, director of Internet analysis at Oracle’s Internet Intelligence team, said they first detected the new site on October 5, but it could have been available earlier than that. North Korea typically doesn’t announce new sites leaving analysts to discover them. A copyright line on the page identifies it as the work of Ryugyong Computer, which also operates the Media Ryugyong site that carries North Korean photos and video. Two sites have the same email and phone number. The portal doesn’t include semi-official such as those run by North Koreans in China. The largest of these is Uriminzokkri, which has support from Pyongyang but sits aside from the country’s official media.